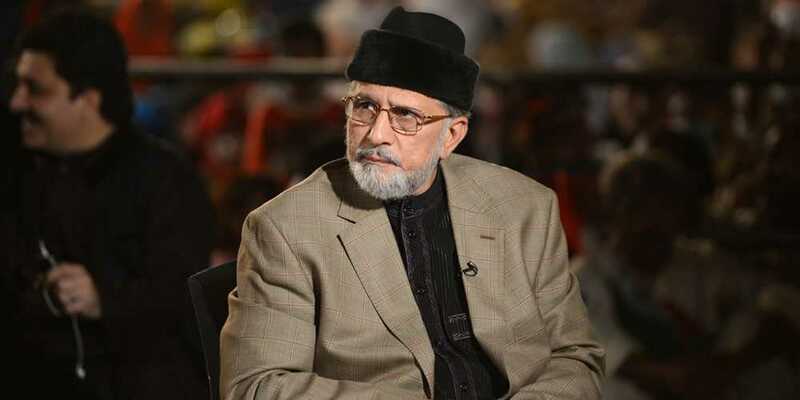 Pakistan Awami Tehreek Chairman Dr Tahirul Qadri has said those alleging fraud and rigging in elections are ‘bricklayers of incumbent Election Commission’. In a statement issued from here on Wednesday, he said in January 2013, he with thousands of workers long marched from Lahore to Islamabad for the formation of bona-fide Election Commission, so that doors of rigging could be closed for good, but despite national importance, this constitutional issue was ignored. He said every general election of Pakistan since 2002 has been declared fraud and rigged; losers pointed out failures and weaknesses of Election Commissions; but as they got power, same Election Commission became truthful and no effort was made to remove its deficiencies. He said parties now protesting at the Election Commission office against alleged rigging, parliamentary Committee of their members worked on election reforms for two years without any progress. If that committee could work against Islamic belief of finality of Prophet-hood, then why it failed to empower Election Commission through necessary legislation? He said before elections, billions of Rupees were distributed from national exchequer, constituencies were changed, Article 62, 63 were removed from nomination papers; rather every necessary step was taken to acquire desired results. But when all arrangements failed, they are trying to create nuisance. He said PAT has nothing to do with current electoral system, because we believe whole system is rigged and corrupt. He said unless comprehensive reforms are made to empower Election Commission, every loser will refuse to accept mandate of winner.